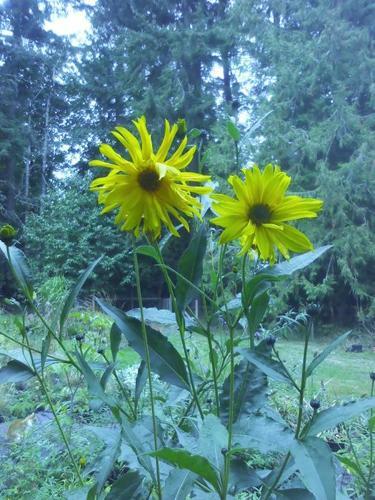 The Heliopsis Helianthoides Oxeye Sunflower is blooming now. The one in the picture is 2 meters/7 feet tall. I have several of them for sale. A 1-galllon pot is $ 6.